Photo: Ao Ta Khian, Ko Kut. Planning well is an integral part of getting the most out of your trip. Be it picking the right backpack, the right vaccinations or the right country, the simple decisions are often the most important. Sihanoukville is Cambodia's premier beach destination, popular with locals, backpackers and expats alike. But despite considerable amounts of recent development, the town can still be disappointing for those who come expecting a Thailand-like beach experience. Sadly, when many people think "Cambodia islands" they draw a blank, but nothing could be further from the truth -- Cambodia has some outstanding islands -- and here are some of our favourites. People tend to be down on the mainland beaches simply because they just aren't very impressive -- and the child beggars and crusty sexpats only add to the feeling of seediness that the place exudes. Luckily, though, Sihanoukville proper can just be a pit stop on a trip to a true beach paradise, with a bevy of gorgeous Cambodian islands on offer, each with excellent (and relatively undeveloped) beaches. The sunsets get tedious after a year or so. Well and truly off the map just a decade ago, in recent years the islands off the coast of Cambodia have become a tourist destination in their own right with new accommodation being built on nearly all of them, along with a host of bars, restaurants, dive shops and so on. While they're no longer deserted island paradises they do still possess a serenity not easily found elsewhere in mainland Southeast Asia. If you've been to one of the islands off Sihanoukville before this year, Koh Rong Samloem was probably it. The western side of the island boasts three gorgeous yellow sand beaches of which Lazy and Sunset beaches have accommodation. These two are also accessible on foot via jungle paths from the eastern side and are perfect for watching the deep pink sunsets every evening. The eastern side is heart-shaped Saracen Bay, named after a British ship that once sailed there. This is the most developed bay on the island and the beaches are an eye-blinding white, with a fast-developing choice of accommodation from eco tents and circular huts to swish romantic bungalows. The island is quite large, and covered with interesting opportunities for visitors, including coral reefs that can be visited by even the most novice snorkellers and diving is also possible with a selection of providers offering diving on Koh Rong Samloem. Although Koh Rong Samloem is the most well-known of the Sihanoukville islands, it's still an excellent choice for a relaxed weekend. Places to stay on Koh Rong Samloem reviewed on Travelfish. Koh Rong is the star of the islands off Sihanoukville. With white sand beaches and turquoise waters, Koh Rong is a dreamy tropical paradise and one of the loveliest islands in the Gulf of Thailand. Apart from sunning on the miles of white sand, there's also diving, snorkelling and trekking paths for visitors. The hub of the island, Koh Touch, is a sandy guesthouse-packed stretch that has earned Koh Rong a reputation as a party island, but it is important to realise that all the beaches aside from Koh Touch are undeserving of this label, with a chilled out, snoozing by the sea vibe permeating much of the rest of the island. Despite many a developer having their beady eyes on the 78-square-kilometre island, the rapid development of late is mostly limited to basic bungalows and cheap guesthouses in Koh Touch, so it remains easy to find a quiet refuge elsewhere on the island. Development aside, the island is truly gorgeous and includes seven bays, all teeming with marine life, making for great snorkelling and diving. There's enough to keep even the most active visitor busy, with diving, snorkelling, mountain biking, trekking, kayaks and motorbike treks, and plenty of sand, sun and sea for those with more relaxed tastes. Places to stay on Koh Rong reviewed on Travelfish. Koh Ta Kiev is the widely-ignored (at least by travellers) little brother of the island group -- it is also considerably closer to the mainland than the others. The island is home to three lovely yellow-sand beaches shaded by pine trees are accessible on the island, and coral reefs make for excellent snorkelling. Long Beach hosts most of the accommodation, with Coral Beach at the southernmost, tucked in on its own secluded bay. It's possible to walk the entire stretch and the pine needles make this long sandy stretch of sand seem less ‘pure' than it might otherwise feel. Trekking paths meander through Koh Ta Kiev's jungle if you're feeling adventurous and would like to do a bit of wildlife-spotting and bird watchers will be happy to hear that more than 150 species call Koh Ta Kiev home. One path is identified by blue markers which takes you to the local fishing village on the east side, another by red markers which heads south from the centre of the island, leading you to Naked Beach on the south of the island. Places to stay on Koh Ta Kiev reviewed on Travelfish. The most pristine of all of the islands, Koh Thmei is part of the Ream National Park and doesn't even have an entire village to call its own, though a few families do live on the island. The only current accommodation is the eight wooden bungalows that comprise Koh Thmei Resort. Like many Cambodian islands, the shadow of development looms large, but for now, the island remains relatively pristine. Flanked by mangrove forests, the island is a natural paradise that is as far from Sihanoukville as night is from day. Koh Thmei is the habitat of many types of interesting wildlife, particularly birds, with over 150 types of birds making their home in the park and a trip to the island offers ample bird-watching opportunities. 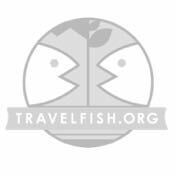 Accommodation to stay on Koh Totang reviewed by Travelfish. A small drop in the ocean at only 1.3 kilometres by 500 metres wide, Koh Totang is one of the 12 tropical islands that make up the Koh S’Dach Archipelago in the Gulf of Thailand. Midway between the Thai border and Sihanoukville, Koh Totang is somewhat out of the way of Cambodia's main island hotspots, with Koh Rong and Koh Rong Samloem significantly further south. But this out-of-the-way location has been one of Koh Totang’s greatest assets; few have heard of it, which means a slice of undeveloped paradise is yours for the taking. Squeaky sand beaches and a rocky coastline embrace the island, where the single flashpacker accommodation Nomads Land Cambodia, sits smugly alone on the beach. Unspoiled and undeveloped — there are no roads, barely even any tracks — makes getting back to nature easy here. The main beach is sandy but then switches rapidly into rocks and coral, so swimming is usually easiest from the pier rather than walking in off the beach — not so great for kids who might want to run in off the sand. The lodgings are rustic, but Nomads Land have done such a good job with their eco-retreat. What is the best island in Thailand? Ko Yao Noi or Ko Yao Yai? Which Cambodian island is right for you? The Gili islands: Which is the right one for you?